It turns out our patients really do have better things to do with their time!! There are many times when our patients love to be at our office: For their recare appointments, to have their teeth whitened, or for the smile makeover they’ve been dying to do for years. But let’s face it, there are some procedures that, while important and essential, are just plain boring and not at the top of your list of things to do. Two of these procedures are multiple, large fillings and crowns. Traditionally these procedures are a bit time consuming and require two visits. NOT ANYMORE! 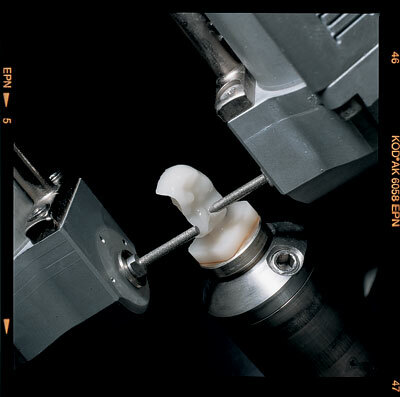 We have recently incorporated one of the most cutting edge pieces of technology in Dentistry today: The CEREC 3D. The CEREC 3D is a CAD/CAM(computer aided design/computer aided manufactured) computer that allows us to restore damaged teeth in a SINGLE APPOINTMENT using a high-quality, ceramic material that matches the natural color of the teeth. That means no more messy impression material, no more temporary that comes out when you’re out to dinner, and no second appointment. Because the restoration is so precise and strong, we are able to design more conservative restorations, saving healthy tooth structure that otherwise would be removed. Most restorations, including multiple teeth, can be done in less than two hours start to finish. That means you walk in with a broken or sensitive tooth(or teeth) and you walk out with a strong, beautifully restored one( or two or three). And during that hour and a half you will have about 20 minutes of “down time”, while we’re designing and fabricating your restoration, that you can use to relax while watching TV with our Virtual Reality goggles. So the bottom line is better, more conservative, and FASTER restorations, which leaves you with more time to do whatever it is you love to do.